Guest post by David Engel, Co-founder of Review Concierge. ACT I. DEATH OF THE PAPER FEEDBACK FORM. There it lay. Faded graphite thoughts etched from corner to coffee-stained corner. Face down. Buried under strata of paperwork—the paper feedback form. Once a hallmark of modern medicine, the paper feedback form is now a relic. Yet patient feedback itself lives on, transformed into red ninja stars—the kind you would see on Yelp—headed straight for your healthcare organization. Patient feedback is yet another element of society that has been transformed by the Internet. Where feedback used to be written privately on pieces of paper, it is now being left as reviews for the world to read on the Internet. The change in patient feedback stems from three technological, social and financial trends. 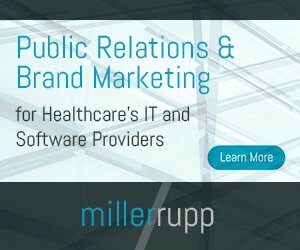 This article identifies these three trends and serves as a conversation starter for healthcare IT leaders to engage other departments in a strategy to leverage online reviews for growth in 2015, and beyond. In 1999, America fell in love with the online review. Within six months of its invention, 1,146,201 reviews had been created for sports teams, products, etc. Doctors largely flew under the radar until 2007 when the Centers for Medicare and Medicaid Services (CMS) began publishing a list of all US doctors. Now, 70+ websites like Yelp regularly copy the CMS’s list of doctors onto their websites for consumers to leave reviews. This is why online reviews show up on nearly every search for a doctor’s name, even when patients aren’t seeking reviews out specifically. It seems counter-intuitive that patients would believe the words of a stranger on the Internet over a trusted friend. Yet, a 2011 survey by CONE Research survey revealed that 89 percent of consumers check online reviews before making expensive purchases—even after receiving a recommendation from a trusted friend. Also surprising was the number of people who would take the time to write reviews. According to an August 2014 interview with Jeremy Stoppelman, CEO of Yelp, “Skeptics initially scoffed at the idea that people would feed Yelp free reviews of local businesses.” Those skeptics were wrong. Yelp has accumulated 61+ million reviews.